We provide the highest quality, name-brand instruments for schools as well as individual players. We also sell new and used instruments and equipment. Our selection includes Electric & Acoustic Guitars, Basses, Drum Sets, Clarinets, Alto Saxes, Tenor Saxes, Soprano Saxes, Flutes, Snare Drum Kits, Trombones, Trumpets, and Violins. Our team of experts can help you diagnose any problems with your instruments and then work with you to resolve the issue. We're happy to work on all instruments purchased from us or other retailers. Our pricing is fair, our work is top-notch, and we are committed to customer satisfaction. 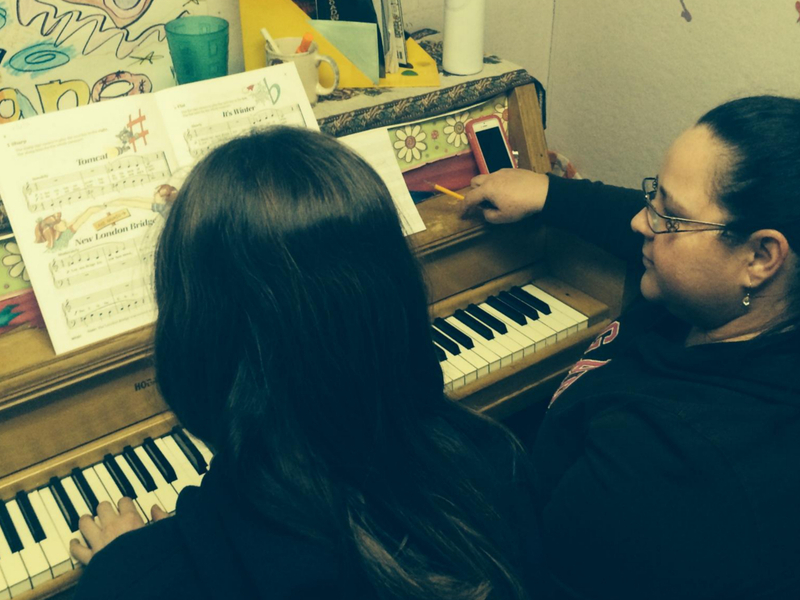 The teachers at Sweetest Sounds Music Center can work with students of any level, from beginners wanting to learn the art of music to experienced players looking to brush up on theory. We have experienced teachers, affordable rates, and no registration fees. We look forward to helping you with your continuing music education. Sweetest Sounds has a complete selection of microphones, speakers, mixers, and power amps as well as all the cables to make the necessary connections in-stock. Come down to our retail location to get a hands-on demo of our huge assortment of gear for your studio or band. We can help you get set up for whatever you have in mind, whether it's recording or performing. If you don't need to purchase professional-grade audio tools, you can just rent them from us. We have a complete line of PA equipment ready for your next gig or event. We provide the best audio equipment at a fraction of the regular cost. Please contact us for rates on everything from microphones and cables to powered mixers and speakers. We carry a complete inventory of strings for acoustic and electric guitars and basses as well as most other stringed instruments. We also have effects pedals from BOSS, Digitech, Ibanez, and more, as well as straps, picks, and cases to keep your gear in the best shape possible. Finally, if you need a reed for a sax, clarinet, oboe, or bassoon, we have you covered. Stop by to see our huge selection of musical accessories. 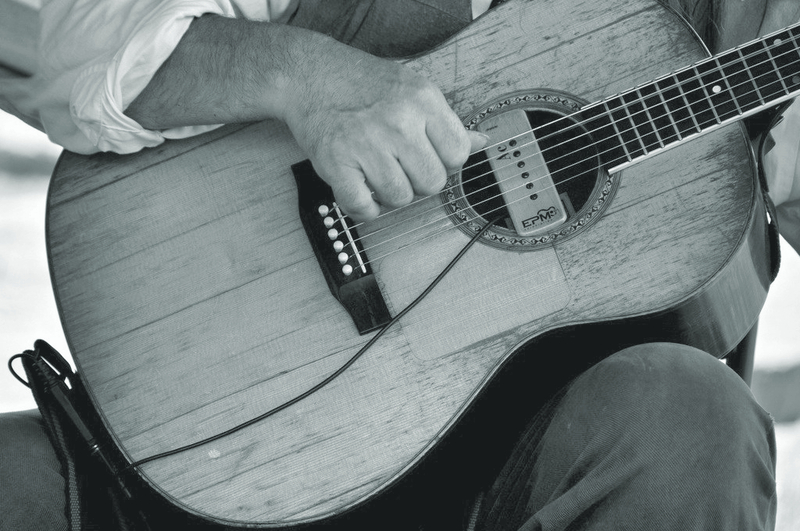 We carry electric and acoustic guitars and basses, including models from Fender, Gibson, Ibanez and more. Stop by to see our complete selection of more than 300 in-stock instruments ready for you to play. Our expert staff will help you make the right decision when you are ready to buy. We also have a complete line of amps, pre-amps, speaker cabinets and effect pedals to complement your playing style and help you achieve that perfect tone. We have a complete inventory of drums, cymbals, percussion, and accessories from Pearl, Tama, Zildjian, Sabian, Vic Firth, Pro Mark and many others. Additionally, our in-stock stick inventory is sure to have the perfect pair. Whether you're looking for an entry level kit or something to help get your sound to the next level, we have what you need. 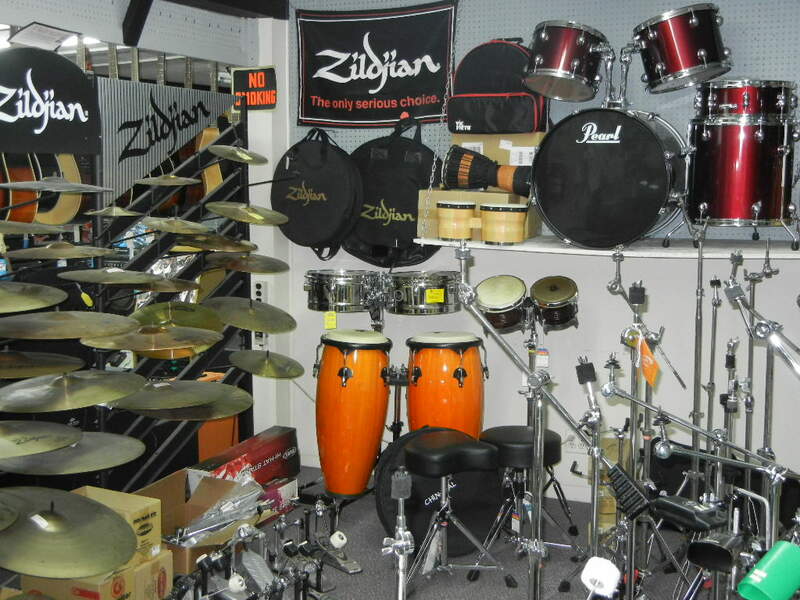 Stop by our store to see our complete inventory of percussion instruments. 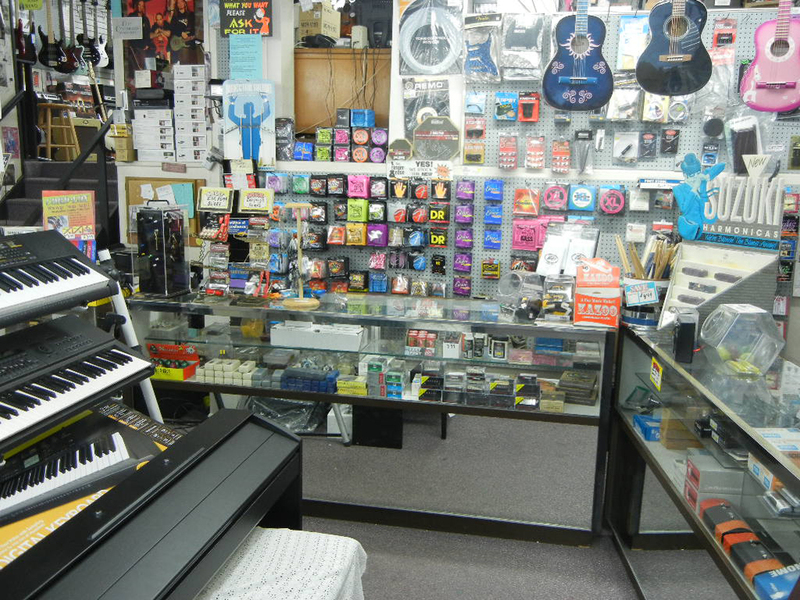 We have an assortment of electric pianos and keyboards for both beginners and professional musicians. Keyboards and electric pianos are a great tool for bands, pianists, and composers. 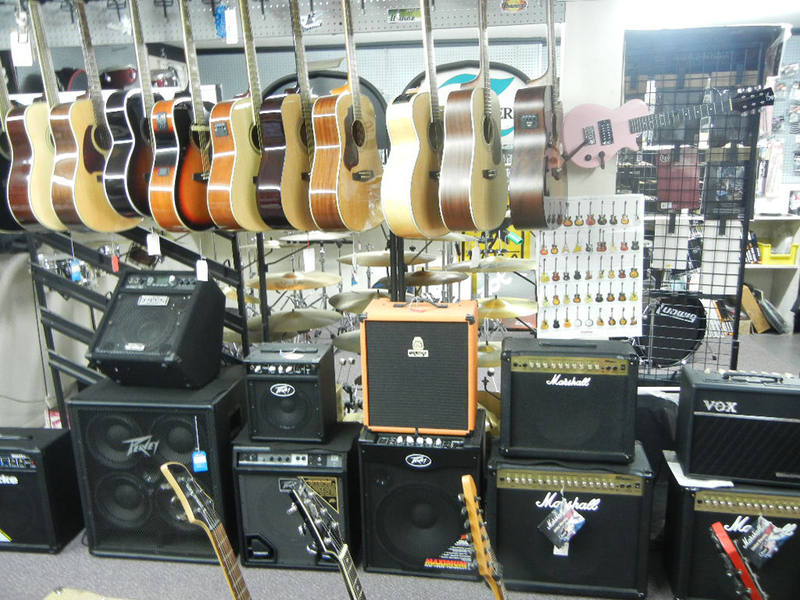 Stop by to see our complete selection of instruments. Interested in Used and Vintage Instruments?